As required by Section 5705.391 of the Ohio Revised Code, every school district in the state of Ohio is required to file a five-year forecast twice a year. The first is due by October 31 and a revised forecast is due by May 30 of each school year. 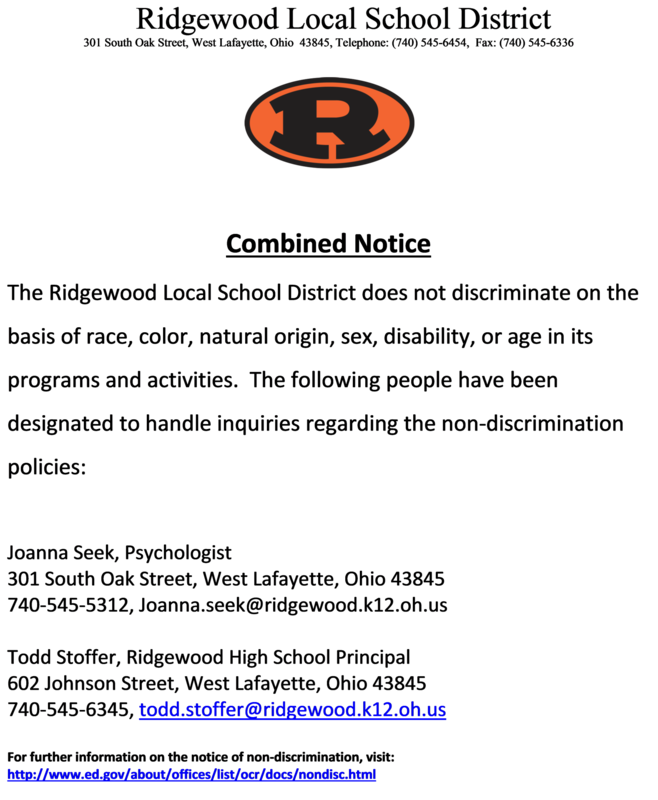 The forecast for Ridgewood Local School District reflects financial information for the District’s General Fund and the Education Stabilization Fund and the Education Jobs Grant Fund. The first 3 columns reflect actual activity for the 3 most recent fiscal years (July 1 through June 30). The last 5 columns reflect estimates for the present fiscal year and four additional fiscal years. Subsequent Financial Reports are archived in the Board Meetings Calendar on the right side of the page. Use the down arrow at the top to view previous years. ** Finance Committee Meetings to take place 15 minutes before the regular board meeting.